Snippet of our rehearsal, back in January; Eric Whitacre's Seal Lullaby. See you guys 5th of July, hopefully we'll play this great Seal Lullaby again! Amazing winter concert with Voces8 at the Laurenskerk, Rotterdam. Sold out production of De Doelen; “Winter Tales”. And even an unexpected cosy winter feeling, because the Netherlands were covered in beautiful snow on this very day! Photo by Jan Hordijk. With Voces8, Laurens de Boer; piano, Hans Woudenberg; cello, Karin Dolman; viola, Cisem Ozkurt; violin. In Memoriam Hans van Ommeren, amazing photographer and person. Photo by Hans van Ommeren, May 2018. Here's the live recording of the premiere of Peter-Jan Wagemans' 'The Bell and the Maiden', written for me! Enjoy! What a blast! Yesterday I had the honor playing the premiere of 'The Bell and The Maiden' in a full house Jurriaanse Zaal at de Doelen, Rotterdam! It was an amazing experience to play for such an enthusiastic audience and for all my dear friends and family who were there. 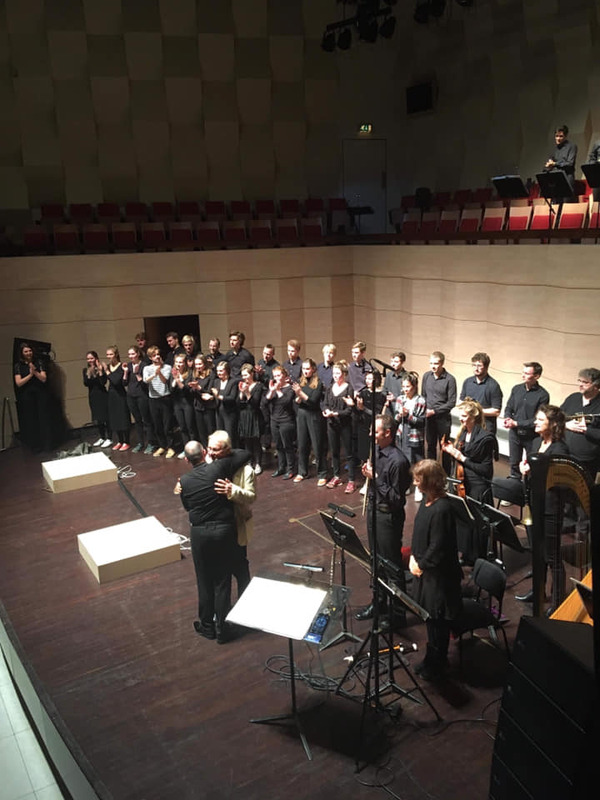 Also many many thanks to Peter-Jan Wagemans, who wrote a magnificent piece for me with my energy in mind; therefore the piece came very natural to me. I hope he and I added a great piece to the harp repertoire! Stay tuned for the recording, will follow soon! Premiere of “The Bell and The Maiden” (2017) specially written for me, solo harp, by Peter-Jan Wagemans. 27th of November 2017, Jurriaanse Zaal, De Doelen. New website! With many thanks to Richard Alma (images) & Samuel Boss, (make-up). Also the past few months I've focused on my new solo program for coming season, since that's almost ready I'm taking on more concerts again! Send me a message to get in touch. Annemieke Breunesse is a Dutch harpist based in Utrecht, the Netherlands and loves contemporary music. She works with composers like Jan-Peter de Graaff, Peter-Jan Wagemans, and others. She's also president of a composers' collective & ensemble called Shapeshift. Read more..